If you are an advanced runner who is ready to sharpen your 10K (6.2 miles) race performance, use this eight-week training plan. To follow this 10K training schedule, you should be able to run 6 miles comfortably and run five days a week. If this plan seems too tough for you, try the ​intermediate 10K schedule. 8 CT or Rest 5 m run 30 min tempo run 3 m run Rest Rest 10K Race! Cross-training (CT): Cross-training activities allow you to give your joints and running muscles a break while still working on your cardio. When the schedule calls for CT, do a cross-training activity (e.g., biking, swimming, elliptical trainer) at a moderate effort for 45-60 minutes. You should also do 15-20 minutes of strength training, either using machines or body weight exercises, focusing on your lower body and core. You can do another 15 to 20-minute strengthening session on Wednesdays when you do an easy paced run. Tempo Run: Tempo runs help you develop your anaerobic threshold, which is critical for fast 10K racing. Start your run with 5 to 10 minutes of easy running, then continue with 15 to 20 minutes of running near your 10K pace (but not at race pace), and finish with 5 to 10 minutes of cooling down. If you're not sure what your 10K pace is, run at a pace that feels "comfortably hard". Interval Workouts (IW): After a warm-up, run 400 meters (one lap around most tracks) at your 5K race pace, and then recover by jogging or walking 400 meters. So when the schedule says, 4 x 400, that would be four 400s at 5K pace, with a 400 m recovery in between. For 800 meter (2 laps around most tracks) workouts, run 800 meters at your 10K race pace, and then recover by jogging or walking 400 meters. 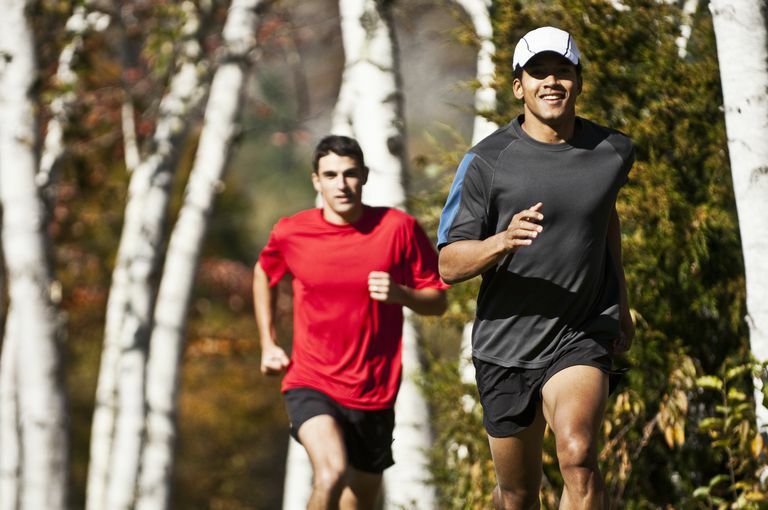 Saturday Long Runs: After you warm up, run at a comfortable pace for the designated mileage. You can switch days to accommodate your schedule. Just make sure you don't do two speed workout days in a row.